April 8 – In a shock announcement, Minerva Punjab FC owner Ranjit Bajaj has announced that the former I-League champions will shut operations after what he considers obstruction from the All India Football Federation (AIFF). In 2017-18 Minerva, a small club from the plains of Punjab, on the outskirts of Chandigarh, crafted one of the fairy tales of the Indian game by winning the I-League. They succeeded Aizawl FC from the northeast as champions, finishing three points ahead of Neroca FC in the table. The club has also been prolific in the youth department, having won all the age-group categories of the I-League (U-13, U-15 and U-18). In the past their eccentric but committed owner Bajaj, who runs an army academy alongside club operations, had lashed out against the AIFF over their partnership with Reliance and the Football Sports Development Limited (FSDL), who back the Indian Super League. The concurrent league was introduced in 2013 and based along the lines of cricket’s successful, franchise-driven IPL. The I-League clubs have always felt threatened by the brash Bollywood league. For Minerva the final straw came when the Odisha Sports Authority denied the club the permission to host their AFC Cup 2019 matches at the Kalinga Stadium in Bhubaneswar. Minerva was informed about the unavailability of the Kalinga Stadium in an email on Thursday night. Minerva have been paired with ISL side Chennaiyin FC, Bangladesh’s Abahani Dhaka and Nepal’s Manang Marshyangdi in Group E of the AFC Cup 2019. 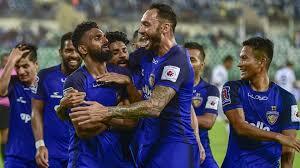 They had played out a goalless draw against their Indian rivals in their opener. The news comes at an awkward moment for AIFF president Praful Patel, who was elected a member of the FIFA Council on Saturday polling 38 out of 46 votes at the AFC Congress in Kuala Lumpur. The Indian football scene has been split for years, a fact highlighted by seven I-League clubs pulling out of the Super Cup last month just days before the start of the competition. Shutdowns in the dysfunctional bi-league system have also been frequent with Dempo, Salgaocar and Sporting Clube among the clubs who have folded in the past.